Banking is very important sector for the development of any economy. Jamuna Bank Limited is one of the most renowned banks of our country, which is successfully operating, from several decades. For the keen interest on my university as well as the bank. I have worked in the General Banking System. I have chosen this topics of my internship reports because its helps me to practical acquaintance on the general banking. Secondary I tried to identify the problem and find out the solution to the shortcoming the general banking and provide suggestion that may supportive for the betterment of the system thought comparing it with other banks. This help to know the overall function of the Jamuna Bank Limited. While I work on the general banking, I had to know deposit, cash remittance and clearing and accounts department. I have shown different types of account that are provide by the JBL as well as the procedure of opening, maintain and closing of them. All the aspects of remittance are also covered. Others services which are provided by JBL are described in the theoretical part. Supplementary belonging, which are relevant to General Banking such as clearance and cash handling procedure, are including s well. To fulfill the objective I have done the analysis of some numerical data and showed them with the help of significant graph. The graph shows a clear up word trend JBL’s continues success regarding the financial position and the effectively of General Banking of the Foreign Exchange Branch as well as the JBL. Necessary recommendation is provide to hold the services, which are accelerated by the bank according to the analysis of the report. JBL is institutions this is not only serving people and special service but also with great coverage. For this reason, the profit of JBL is drastically increasing from about the last decade, which is clear from the analysis of this report. Report is limited to overall description of the company, its services, and its position in the industry and its General Banking analysis. The scope of the study is limited to organizational setup, functions, and performances. Materials & data used to complete the report are collected from officials of the bank with due permission. Though it is assigned to me that I work mainly in general banking department, it was my honest desire to work in every departments of JBL in Foreign Exchange branch. I think it provided me a greater understanding of the organizational hierarchy and activities of the bank. The internship program lasted up to august 18th which commenced from June 18. 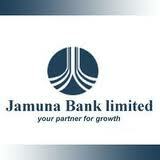 In this 03-month period, I think I was able to know the ins and outs of general banking of Jamuna Bank Limited. General Banking is a heart of any banking. And all types of customer took their services from General Banking. Therefore, customer satisfaction level depends on the department. As I was doing my internship in Jamuna Bank Limited, Foreign Exchange Branch so, I choose this topic to consider the present circumstances. In addition, it helped me to know the practical knowledge of banking operation. Dealing Room service for Corporate Customers and high network individual. Introducing more innovative products and services. As a part of the internship program of BBA course requirement, I was assigned to do my internship at Jamuna bank Limited, Foreign exchange Branch for the period of three months. I was joined in Jamuna Bank Ltd. Foreign exchange Branch on 18th may and it was finished at 18th August 2010. As an intern, I was act s a junior officer of that organization. The Jamuna bank Limited, Foreign exchange Branches three different divisions. Those are General Banking, Foreign Exchange and credit division. For the beginning of the internship, the manager of the branch told me about my working area. That was customer service department of general banking division. In my internship period, I tried to learn all type of the work, which is related banking sectors. I have worked every department in different times. Though as a student of finance, it was a new situation to me, however it was totally new practical experience for me, it was also very much enjoyable and co-operative place for me. Issue and payment of Demand Drafts, Telegraphic Transfers and Payment Orders. I have learnt their general banking works for provide their customers and what kind of activities included there. I have also learnt about opening account and its closing procedure. I also learnt how to receive or payment cash cheque. I also saw what the reasons for refuse payment cheque are. I have learnt how to receive cheque and how to prepare for outward clearing. I have mainly learnt how to provide their customer services. I saw how to work their clearing department? I always saw, how to prepare the vouchers process of TT/DD /FDR /PO. I have learnt how to prepare the process of OBC /IBC cheque. I want to know their type of account which is provides their clients and what is the requirements need for opening their account. I have tried to learn about the process of a loan and what are the requirements need their process. I want to know their exchange department that was included how to create application for opening L/C and what type of L/C uses this branch. I was tried to learn what document are needs for export L/C. I have learnt how to prepare vouchers for IBDA, TT, and PO. I also learnt how to maintain customer relations and discipline. Finally, I learned how to prepare an internship report. ●Though JBL using very popular software i.e. Flora bank on–line software but the use of it is quite difficult for the employees. (According to the statement of some employee of JBL, who has the experience to use more then one banking software). Annual Repot 2006-2007 Jamuna Bank Ltd. Annual Report 2007-2008. Jamuna Bank Ltd. Annual Report 2008-2009. Jamuna Bank Ltd. Prospectus of Jamuna Bank Limited. Report, General Activities of Jamuna Bank Limited.